‘Use’ is the term that describes the way a person uses their whole being in the performance of any activity. We slump over desks, collapse in chairs, drive cars in endless rush hours, tensely key into computers, work in cramped offices, and generally try to adapt ourselves to life’s downward pressures. The hunching of shoulders, twisting of the rib cage, collapse of the spine, locking of the joints, and clenching of muscles due to tension and anxiety are but a few examples of this disconnect, which is referred to as “mis-use”. Mis-use affects the way we function and is one of the primary causes or aggravating factors of illness and pain. Conversely, correct “use” implies a freedom and lightness of movement in all areas of activity and a sense of comfort and ease within oneself. The Alexander Technique was developed by F.M. Alexander well over 120 years ago as a means of overcoming his own crippling tensions and “mis-use”. Recognizing the importance of his own discovery, Alexander went on to establish his Technique in Australia, London, and subsequently in the United States. 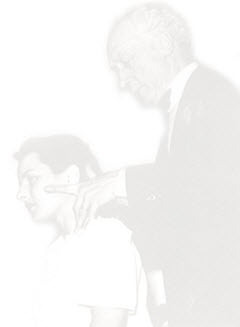 The Alexander Technique is also described as: the use of the self, psycho-physical re-education, kinesthetic re-education, proprioceptive training. No matter how many definitions there may be, in essence it needs to be experienced in order to be understood. The teacher of this work is specialized and highly skillful, having gone through 1600 hours of classroom training over a three year period. The Alexander Technique continues to increase in popularity because it works. Recent research carried out in England has proven it to be a remarkably effective method for pain management. The Alexander Technique teaches you to regain the use of your whole self and to correct habits of “mis-use” that interfere with your health, free movement, and general well-being.